Siberia and the Far East contain the world's only remaining untouched natural resources and flora. The plants grow here naturally, freely, abundantly. Accustomed to constantly fighting for survival in the harsh climate, wild grasses have great resilience in Siberia. To use this living energy for the benefit of health and beauty, we apply a minimum of artificial additives, use advanced technologies and strictly control all stages of production. Because of this, the wild grasses can reveal their potential. Natura Siberica is not just natural cosmetics and not just cosmetics made from herbs. This is Russia's first organic cosmetic line and it really works. Highly active wild grasses from Siberia and the Far East. Modern formulas with the highest quality content of plant components. At least 95% of ingredients are vegetable origin. Certified organic extracts and oils. Free of petrochemicals, silicones, parabens, artificial dyes. 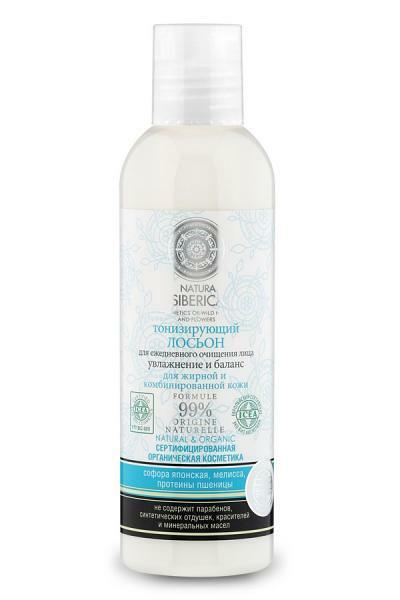 Lotion-tonic Natura Siberica for oily and combination skin, based on herbal ingredients of Siberian natural oases "organic" nature is designed to remove contaminants from the face, the last remnants of make-up and cleaning of the drug, makes the skin fresh and radiant appearance, smooths, tones, and fills skin vitality. Lotion improves blood circulation and condition of the blood vessels, stimulates metabolism, accelerate cell renewal. 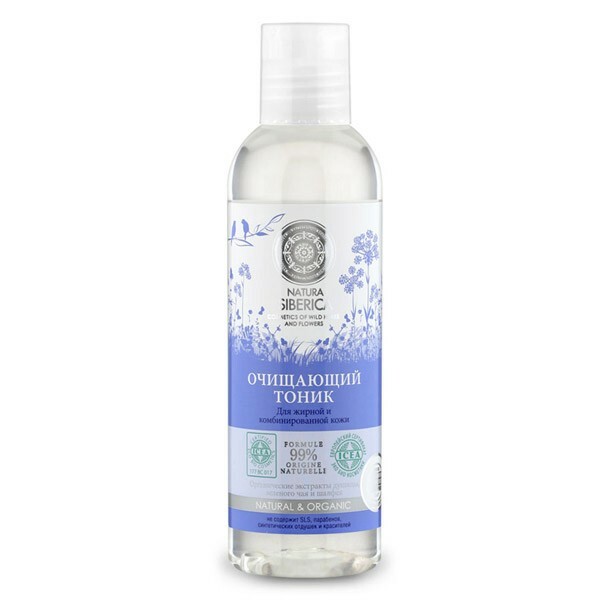 Handling toner enhances skin's natural ability to retain moisture, restore natural hydro and skin turgor. Japanese Sophora extract contains up to 30% rutin (vitamin P), so that helps equalize the relief and strengthening the skin, accelerates the regeneration, regulates the lipid balance; Melissa smooths and soothes the skin; Wheat proteins help to restore skin structure, saturate it with nutrients, making it soft and velvety. NO silicones, mineral oils, parabens, BHT-BHA, PEG, EDTA.